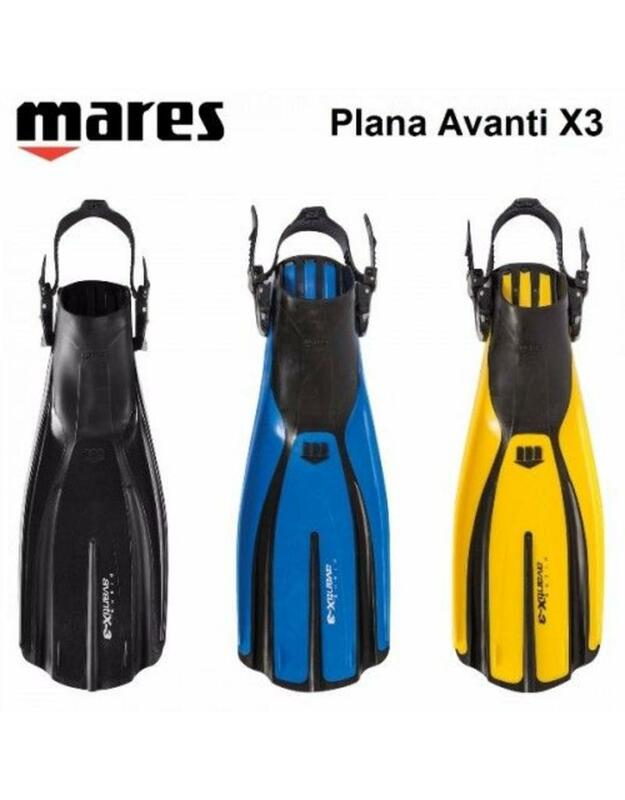 Rent a pair of Mares plana avance X3 outside fins! The price shown is the rent per day! The Mares designers are inspired by sea mammals. The Channel Thrust technology optimizes the channeling of the water so that a much larger amount of water is displaced compared to other fins of the same size. The result is more thrust without you having to do more.